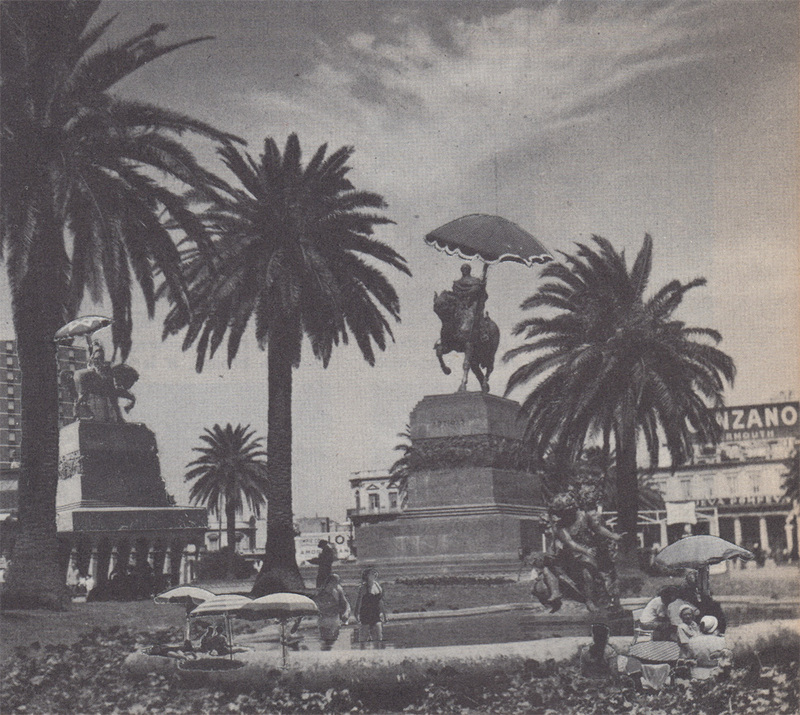 The men and women of leisure shift about, a parasol fleet pinwheeling over the statues. Good-intentioned pleasantry for the cafe folk, though ultimately a vain attempt to reset the sun’s dial: a hand-fan in a heatwave. Striding clockwise, their movements catalyze mutation in unison, synched to a telepathic beat… a flamboyant, molecular jam. The iron masses charge into motion. Off their pedestal stasis, stallions and all, they zig-zag beyond the palm frond canopies, adding one last ceremonious brim-tip to South America’s own twisted Riviera. A departure to the envelope’s limit. Persona La Ave is southern space funk reverend Dylan Dawkins. These days he’s often found on stage supervising the low end for Royal Bangs. Until Persona’s proper return, there’s plenty left to groove with in last year’s Temptation EP.